I am terrible at writing thank you notes. Some people are amazing at writing them, I don’t understand those people. I have had to work hard at getting better at writing them. Let me tell you about the power of thank you notes. It was 2001 and I was given a promotion to oversee a therapeutic program for teens that were referred from the Department of Human Services (foster care, child protective services, etc.) and from Community Mental Health. I inherited the program from a lady that would give cigarettes to and smoke with the teens she was “helping.” As a result, no one wanted to refer to the program. My first task was to understand what services were not offered in the community and try and kick-start those programs. We focused on less one-on-one mentoring (which was the former cigarette program) and more on group programming. Our goal was to help workers feel comfortable with the program and the staff and that we would no longer give cigarettes to kids. I knew we had to build trust. Whenever I got a new referral, I knew that the person referring had to put their neck on the line. They had to go to their supervisor and say, “I know these people gave cigarettes to kids, but they’ve changed, they really have.” They had to go to bat for me, a guy that most of them had never met in person. So I wrote them a thank you note. But it was not just any thank you note; I made it look fancy. Sometimes I drew crazy pictures on the front. Sometimes I made the first letter of their name look like calligraphy. I figured that state workers get a lot of boring mail and I didn’t want mine to go in the “open later” pile. Also, I always put my business card in the thank you note. Again, they went to bat for me. Since then, I have launched therapeutic sailing programs, counseling programs that involve camping and canoeing, and several other “out of the box” approaches to helping teens. But it all started with a thank you note. I moved Mental Wellness Counseling (http://www.mentalwellnesscounseling.com) my private practice, to Traverse City in 2009. Again, I had to find a few core referral sources. Especially when you are new, it is so important to recognize the clients and referral sources that stick their necks out for you for your counseling private practice. I still write a thank you note almost every time I get a referral for counseling. There are times I forget or do it 6 months later, but I usually get to it. It does not come naturally, but I underestimated the power of the thank you note until today. So my thank you note somehow ending up in Megan’s hands. This in itself is amazing because it means that someone shared my thank you note. Herb (who I wrote it to) is a great leader in our community that is very respected. As well, my quote is now going to go out to 850 supporters of small business mentoring. So again, respected leaders in the community connecting me with what they are doing. The thing is, when I write a thank you note, it is never for promotion. It is to recognize that the other person has somehow really helped me. Herb gave me great business advice. There is no way to express to someone how much it means to help me out in my growing business. This is also true true if someone refers someone for counseling. Those people trust me with their friend, family member, parishioner, or their own client. It is a monumental task to live up to their expectations. Somehow, I was the guy they thought of when they saw that hurting person. It means so much. I have found that when you are genuine to someone else, people are drawn to that. It is not purely “marketing” instead it is creating a genuine reflection of who you are…through a thank you note. 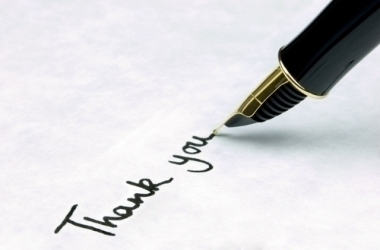 How do you keep confidentiality within your thank you’s? 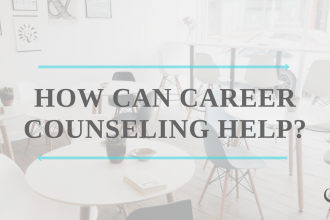 I come from a sales background and have been trying to figure out how to say thank you without confirming that the person referred to me is now in counseling. That is a great point. I am glad that you brought it up. I always talk with the family at the beginning. When I ask, “How did you hear about Mental Wellness Counseling?” When they answer, I ask, “Can I write them a thank you note, I won’t use your name.” They almost always say, “Yes.” If you have a referral source that is only sending one person a year, of course they will know who you are talking about. If, however, the people are sending multiple folks your way, it is a lot easier to secure confidentiality. I think it is a valid point, we should never compromise great clinical work for marketing. Thanks for bringing this up. This is actually my own first time the following, really nice looking blog. I came across so many exciting things inside your blog particularly it’s conversation. From all your remarks in your articles, it appears like this is really an increasingly popular website. Continue the great work.